These two gray-scale images from NASA's Space Shuttle show part of the Nile River, near the Fourth Cataract in Sudan. The top photograph was originally taken with color infrared film from Space Shuttle Columbia in November 1995. 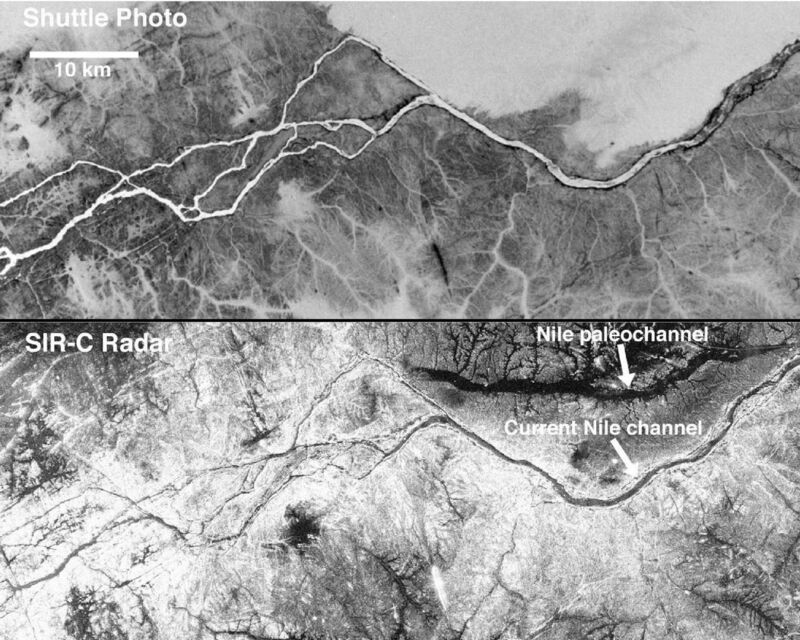 The radar image at the bottom was acquired by Spaceborne Imaging Radar C/X-Band Synthetic Aperture Radar (SIR-C/X-SAR) aboard Space Shuttle Endeavour in April 1994. 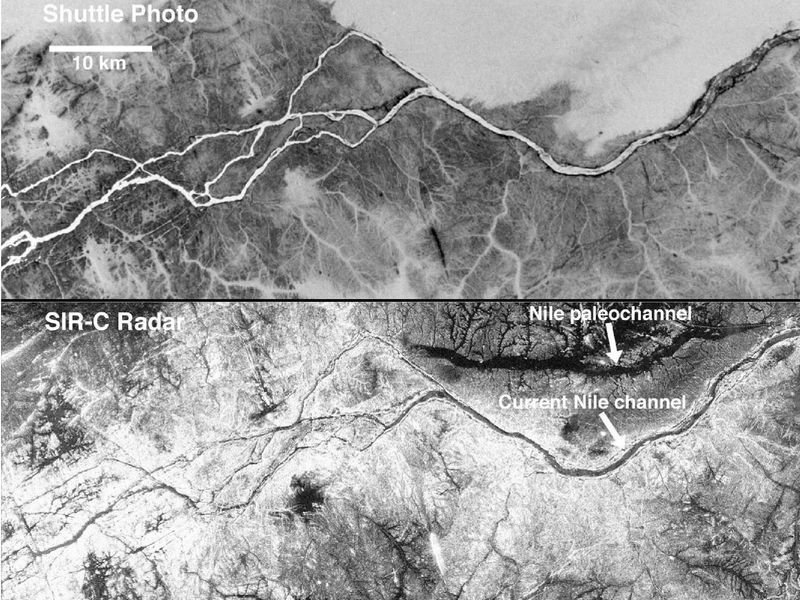 The radar image shows clearly the current channel of the Nile as well as an older channel buried in drifting sands. Generally accepted as the world's longest river, the Nile is more than 3,700 miles (6,000 kilometers) long, runs through 10 countries and ends at the Mediterranean Sea. 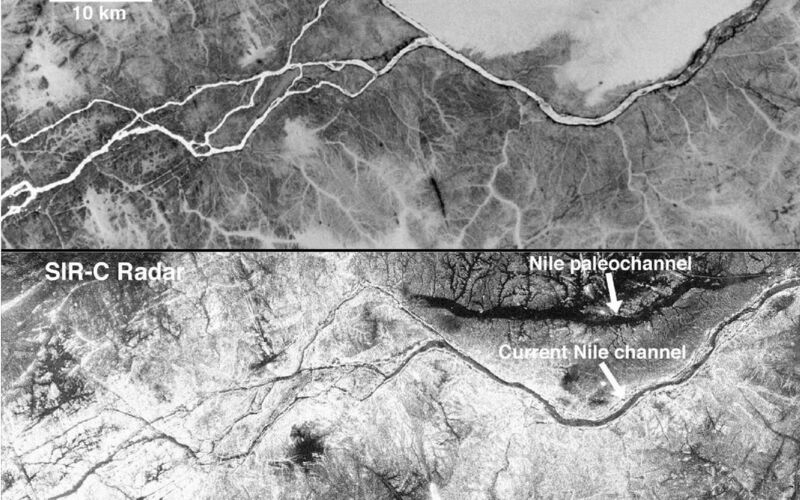 A few segments of the Nile such as these are defined by faults, causing the nearly right-angle changes in course. A color version of these images and more details on how they were obtained are available here: http://visibleearth.nasa.gov/view.php?id=52410.